Our vacation apartment in Santa Ponsa in the apartment complex Casa del Sol is perfect for your next family vacation or a getaway with friends. Two separate bedrooms offer privacy and are on the opposite sides of the roomy living room in between. From the living room you have access to the nice, light-flooded sunroom where you can sit together and enjoy meals. The apartment also offers a private patio that is exclusively for you to sunbath and enjoy your morning coffee. A refreshing pool is at your disposal whenever you feel like taking a swim. 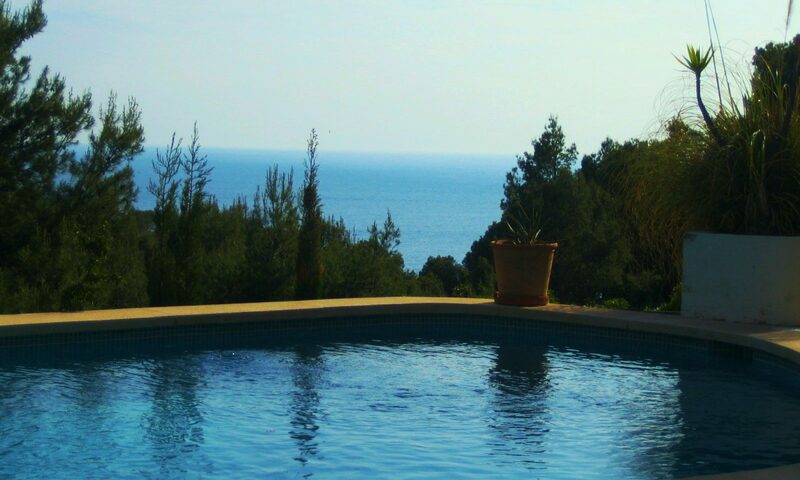 The pool, as well as the available Finnish sauna, is shared only with the other parties in the Casa del Sol. The Casa del Sol is located amongst other vacation homes in a very well taken care of area on the Costa de la Calma. The apartment is for rent at 79,00 Euros per day. In addition we charge a onetime fee for 79,00 Euros incl. tax for final cleaning and laundry.